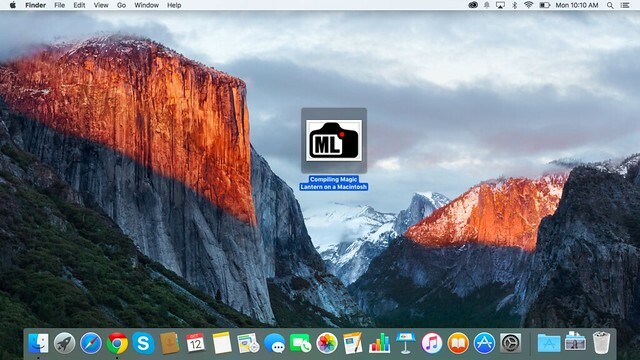 For the terminally impatient try Danne's Magic lantern development compiler tool(Mac OS). It includes the quick install script originally written for this tutorial. You can still get just the install script and skip this tutorial--scroll down to the bottom of this first post. drwxr-xr-x@ 12 root wheel 408 Oct 12 11:45 .
drwxr-xr-x 31 root wheel 1122 Sep 30 21:56 ..
Don't be intimidated by long command lines, you're on a Mac so simply copy and paste it into the terminal window. Note that you will have to enter your password. If it didn't work you are probably on OS-X 10.11 "El Capitan" or 10.12 "Sierra" or even something newer so you need to temporarily turn off disable System Integrity Protection (SIP) in order to create a /usr/local you can use. 1. Restart the computer, while booting hold down Command-R to boot into recovery mode. 2. 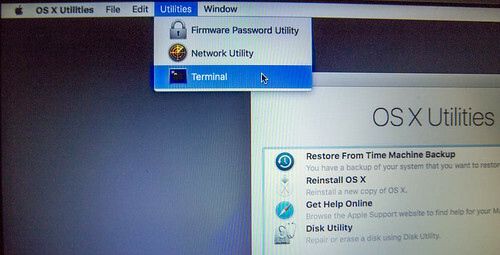 Once booted, navigate to the "Utilities > Terminal" in the top menu bar. 3. Enter csrutil disable in the terminal window and hit the return key. 4. Restart the machine and System Integrity Protection will now be disabled. Don't skip this next step -- go back into recovery mode and this time type csrutil enable in the terminal. Now that we've got a /usr/local that we can use, install Homebrew. Ok--if you are really itching to get up and running you can now just skip to the bottom of this post and run the quick installation script. Go! Next start adding some of the tools needed to build Magic Lantern. What's the deal with Python, isn't it already installed? Yes, but getting the Apple version configured to work with the ML install scripts is more trouble than it is worth so we'll just use the Homebrew version. In addition, we're going to get some python scripts using the package manager that Apple left out of their version of Python. That's not a mistake--we want all three versions of docutils. If for some reason you'd rather use Apple's version of Python, I've included instructions on how to set it up at the bottom of this post. Although the compiler that comes with the Mac can compile ML there are reasons to use a different version. Technically it isn't really gcc but another compiler called "clang" and if you try using it to compile ML you'll probably get a bunch of clang error messages. In addition, Homebrew switched to version 6 of gcc and that's causing some issues with ML so we'll go with good old version 5. 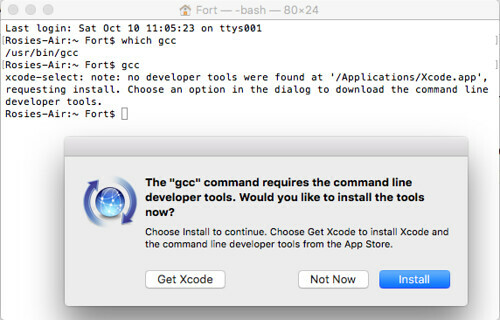 Two versions of gcc? Won't that confuse the system? Homebrew is designed to work with the system so the gcc that you just installed is called gcc-5. This requires some special handling that we'll get to a little later. We're not not done with compilers, we'll need yet another version of gcc to compile binaries that will run on the ARM architecture used in our Canon cameras. To figure out which ARM compiler to get refer to the ML code, specifically: Makefile.user.default -- ARM_PATH=~/gcc-arm-none-eabi-4_8-2013q4 notice that little squiggly mark after the equal sign? That means that the path starts in your home directory. Ok, so much for the lecture let's get it and put everything in its place. Before doing this next step make sure you are in the directory where you want to save the magic-lantern source code. Warning: DON'T EDIT Makefile.user.default -- Put the changes you want to make to Makefile.user.default in your Makefile.user file. Think of this as a way to customize the Magic Lantern build environment without modifying the code. So you want to start hacking away on the code? There's lots of choices when it comes to text editors. You can even use TextEdit though I wouldn't recommend it because you have to turn off all the "smart" features so it doesn't destroy your source code. A better choice is Aquamacs. I have no financial interest if you get it or not. Hey, it is free. What about the editor that comes with Xcode? You can certainly install the full Xcode app that includes a very capable editor though it is quite a beast to master. It is also quite a heavy download. Of course if you are a real propeller head there's all the old favorites like vi, emacs, pico and nano already installed for you. Some other software you might want to look into if you are going to get serious and contribute back to the Magic Lantern project is SourceTree. It supports the bitbucket repositories used by Magic Lantern and it has a nice graphical interface showing the various branches in ML. You're on a Mac, not everything has to be done on the terminal. Added bonus -- Compiling Magic Lantern command line tools a.k.a. "Module Helpers"
We didn't give it any instructions so it simply lists a short list of the available options that it has available. It is beyond the scope of this tutorial how to use the various command line tools but search through the forum and wiki for instructions on how to use the command line tools. and presto, you have a Mac binary to play with. Let you in on a little Magic Lantern secret. Most Windows binaries aren't compiled in Windows. Sure, there are developers using Windows systems but they are either running a Linux distribution inside of a "VirtualBox" or Cygwin which is a self contained environment that functions within Windows. Only a MinGW or MinGW-64 Magic Lantern development setup might be considered Windows native. In fact if you want the best environment to work with open source projects like Magic Lantern set up a Linux system but one issue is that although a Linux system can be easily set up to compile Windows binaries it is not so easy to do Mac binaries. Anyway, to make Windows binaries on a Mac you need yet another gcc compiler like the ones maintained by the MinGW project. MinGW is short for Minimalistic GNU for Windows. What does GNU stand for? GNU is a recursive acronym for GNU's Not Unix. If you check out Apple documentation you will see that they claim that OS-X is Unix. Geek alert - instead of getting caught up in techno-babble how about setting up a cross compiler on your Mac already and start building Windows binaries. You will need a darwin (OS-X) build of the MinGW compiler. Homebrew to the rescue. Being able to create Windows binaries on a Mac is so easy that I am including it on the quick installation script at the bottom of this post, though you'll need to uncomment that line first. The "-m" option also removes files that start with an underbar. ruby -e "$(curl -fsSL https://raw.githubusercontent.com/Homebrew/install/master/uninstall)"You might also want to clean out your /usr/local directory for any stragglers. Just remember that if you are on "El Capitan" or "Sierra" and you delete /usr/local you will have to do the Command-R csrutil enable/disable song and dance to get it back. Note: I don't use this and things might have changed so you're on your own if you want to experiment with this. If you have a Mac with a /usr/local directory and would like to get everything up and running in a hurry, you can use Danne's menu driven compiler tool or download just the quick install script from his repository. You'll need to answer a few questions, enter your password and make decisions like if you want to install the Windows cross compiler and/or QEMU. That,s it. I, m going for the El Capitano upgrade. This is too good not to. Thanks for sharing this very comprehensive description. Damn Daniel... How'd you just all of a sudden get me into this mode when I'm just literally like "That's it -- I'm gonna jump onto the Captain's boat and just sail along with y'all" and THANK YOU for your contributions on this yet another remarkable achievement of yours for this wonderful community. This is fairly new stuff so I've been making changes to the tutorial. After doing the section on the Widows cross compiler I realized that the stock Apple gcc compiler that comes with "El Capitan" can be used to build ML. It saves a few minutes setting up the system and avoids conflicts between the various compiler versions. The built in Apple compiler is clang/llvm. Last I checked, it would not compile most of the command line tools (cr2hdr, raw2dng, etc.) because those tools use non-byte aligned (aka 'bit field') structs (for processing 14-bit raw data). Supposedly bit-field structs are deprecated in clang/llvm. I'm surprised you actually got it to work. Are you sure they actually compiled and are functioning correctly with clang? Maybe the 10.11 update addressed that issue? I'm having no problems compiling those command line tools and I just checked cr2hdr and it seems to be working properly. I've been doing some further testing and although I should have probably stopped once I had a working system I wanted to see how much I could simplify setting up the development environment. This probably isn't for experienced developers like you but rather for someone who just wants to try their hand at compiling ML. The setup requires no changes to Makefile.user.default. There are a few more adjustments I'd like to make. I found out how to get docutils working without having to install python from Homebrew so the only packages needed are wget and mercurial. Somewhere along the line I'm getting myself in a situation where everything works, even things that aren't supposed to. On the EOSM the dot_tune module is supposed to fail but it is building without so much as a warning message. Seems that the platform specific features are being ignored? Figured it out. If you make other platforms that can use dot_tune then compile a platform that cannot use dot_tune it will give you a warning but still give you a dot_tune for the platform that cannot use it. 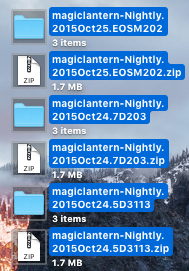 Doing a "make clean" in the magic-lantern root directory fixes this problem. Finally. I have all three binaries compiling, cr2hdr, mlv_dump, raw2dng. What a thrill! dfort, you,re the man. Thanks dmilligan for shedding light on clang. Exactly my problem also here with El Capitan. usr/binDon,t think I can place binaries in usr/bin though. Tried copy over raw2dng. Still, compiling worked so does,t matter. *copying files over to usr/local/bin works but not to usr/bin. I went from Yosemite to El Capitan so usr/local/bin was already there. Don,t know how a fresh El Capitan install behave. I had to run this. Thanks dfort! Couldn,t overwrite though it chose not overwritten by itself. Doesn,t matter. Compiling worked anyway, yey! Well I'm certainly not going to argue with dmilligan over which compiler to use or ignore Danne's success. I changed the instructions back to using Homebrew's latest gcc compiler. I also included a tip on how to use the Python that is already installed with the Mac if there are any users out there that might be Apple purists. Added a quick install script. The whole installation, including downloading the Magic Lantern source code should take about 2 minutes. Scroll to the bottom of the OP. I also did some small changes to smooth out the installation process. Very nice with an optional script solution . Thanks for putting it up. Curious how long it takes to build the Windows cross-compiler? Here are the times it took for each component on a 1.4 GHz Intel Core i5 MacBook Air. It isn't nearly as painful on a more powerful system. Things will get better if the gcc-cross-mingw32 (i686) gets merged and they host a pre-compiled version. As far a I know Homebrew is also a volunteer project so like Magic Lantern, somebody has to do it an post a pull request. In the meantime if you plan on making Windows binaries on your Mac you'll just have to wait until it finishes building or someone builds it for you. Quite a difference from the 2 minute quick install script. ... this is why I love Macintosh -- even tho no one says it anymore. Perhaps you though you were compiling with clang when in fact you were using gcc? That could very well be. I was able to test it on a virgin Mac that never had any development tools installed on it and got the same results as you. I changed to gcc a while back on your recommendation and had not had any problems with it since. I guess if someone is only going to be building ML and none of the command line tools it wouldn't matter because (AFAIK) the only thing that the host system compiler is building is xor_chk. Added some error checking to the quick install script. Just checks to see if there is a /usr/local directory before starting the installation. Safety first . Well done. Finally got it tackled down on the new MBP running El Captain and Thanks Daniel for holding up with me throughout the day! ... and yet more to come later! Actually I just tried it and it wouldn't produce -- claiming that this file doesn't exist. So it looks like until 5D3.123 are back in the Nightlies then I can start compiling them for you or anyone else. You need to switch to the 5D3.123 branch. Look up the Mercurial command or easier still, download the Sourcetree app and switch branches with a double click on the branch you want to work with. Ah, I figured that it would probably had to do with needing to switch to a different branch but TBH I wasn't quite sure how exactly to tackle that part just yet. However, I was able to change the forks and able to use yours in order to compile for EOS-M which worked well. Now you can cd into the 5D3.123 directory and compile it. That's right--no changes since April. You want changes? Fork the main repository, apply some of the changes others are doing to see if they work on your platform and if they do then submit a pull request to get that branch updated. You can also try and merge the 5D-123 into unified and see what happens. Once you get something that works, please share it. How to do all of that is a bit beyond the scope of this topic but that's basically how you can get things get done--instead of asking someone else to do it for you. Well.. Well.. Well.. How can I say this? I feel like I've just flown back in Time after spending hours in Terminaland refreshing my memories of how artful those codings can be! Dreadfully Artful, that is. But hey I admit it was definitely worth the hassle and now I can see why @dfort is the man he is today. His wife is a lucky lady! He's an incredible human being that I admire him so much as if he were my 8th grade teacher from Computer Science whom I should've kept in touch with over the years. But he joined onto this community on February 25, 2014 and I reckon his user name @dfort popping up on certain threads that were rather important so I decided to keep a close eye on him and lord behold he made the threads more valuable to not only to himself but to all of us as well. I truly appreciate the dedication & eagerness that you proactively provide into this community. Okay enough of my babbling already and back on topic -- I decided to stick with your latest fork (Thanks for that!) since it has all the "bells & whistles" from the branch that you referred to by PM earlier. mkdir -p /Users/SMJ/magic-lantern/platform/5D3.123/zip/ML/modules || echo "no problem"
cp ../modules/*/*.mo /Users/SMJ/magic-lantern/platform/5D3.123/zip/ML/modules/ || echo "no problem"
cp ../../doc/INSTALL.pdf /Users/SMJ/magic-lantern/platform/5D3.123/zip || echo "warning Unable to copy INSTALL.pdf"
cp ../../doc/UserGuide.pdf /Users/SMJ/magic-lantern/platform/5D3.123/zip || echo "warning Unable to copy UserGuide.pdf"
cp ../../src/logo.bmp /Users/SMJ/magic-lantern/platform/5D3.123/zip/ML/docs || echo "warning Unable to copy logo.bmp"
So now I am not in the mood to upgrade my 5D3 to 123 because I am just too happy being on 113 so for those who are curious to try... Feel free to check my Dropbox if you like! However, I noticed the "Dual-ISO Didn't Build" errors so I suspect that this is probably due to change of forks? <-- this only applies to the 5D3.123 build that I just made. *edit* I just tested it again on another fork (unified branch) and still encountered this "Dual-ISO didn't build" error. Is there something else going on that I don't know about? It all worked fine few days ago and now this is such a trip to me. Both Mac Mini (Yosemite) and MBP (El Captain) are producing the "Dual-ISO Didn't Build" errors from both branches... Really Strange?! As long as you are sending out kudos--dmilligan is doing some amazing work and moving ML to a whole new level. And his development platform is a Mac. SO I have decided to just delete the GCC and Magic-Lantern folders and just rn the script that @Danne created for you in order to start from scratch again to see if that would help clear up the problem or did the recent update for El Captain from Apple somehow caused these errors? Went ahead and deleted those two Folders in root and ran the script from OP which is now giving me this... How exactly can I run Software Update through Terminal? > # environment on a Macintosh. > echo "/usr/local directory not found." > echo "Follow the steps at the beginning of"
> echo "tutorial to create /usr/local and"
> echo "then re-run this script." > echo "/usr/local found -- "
> echo "continuing with installation." > ruby -e "$(curl -fsSL https://raw.githubusercontent.com/Homebrew/install/master/uninstall)"
Thanks again for the follow-up, D!